With Jay Leno retiring soon from his hosting duties on the Tonight Show it reminded me, that it was only 22 years ago, when Johnny Carson left the show in 1992. Even if you count Conan O’Brien’s short stay of 143 episodes, then Jimmy Fallon will be only the fourth host of the show in the last 46 years, since Carson debuted in 1962, when he is new host in February of 2014.. I still consider Johnny Carson the best of the many personalities, that have appeared on late night television. Many tried to topple Carson, but failed like Joey Bishop, Joan Rivers, Merv Griffin and Arsenio Hall and others. 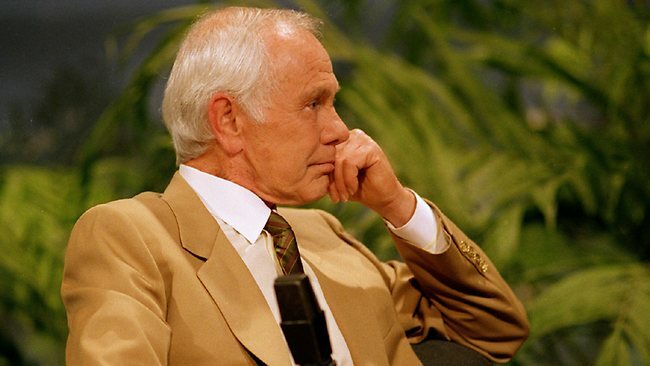 It is sad that very few if any, of the Tonight shows with Johnny Carson have been shown in their entirety. There have been some collections of the best and/or funniest moments from the show that have been released. Carson reportedly owns the shows, so it is questionable if the shows will ever be seen again. It would be fun to relive those days again, especially like the shows of October 1962, when the Cuban missile crisis was going on and I was wondering if the Cuban missile crisis was mentioned on some of those shows. It sure wasn’t monologue material, but if he had any political guests they may have mentioned the crisis. Joan Rivers learned the hard way, that Carson was not the kind to take loyalty lightly. Despite being his permanent fill-in host she neglected to tell Johnny, that she was going to Fox to compete directly with him, on another late night show. She finally called Johnny, but he hung up on her and never talked to her again. He gave a lot of young comedians and comediennes their first big break and expected their loyalty in return, so was upset that Rivers didn’t let him know she was signing with Fox, to do another late night show. 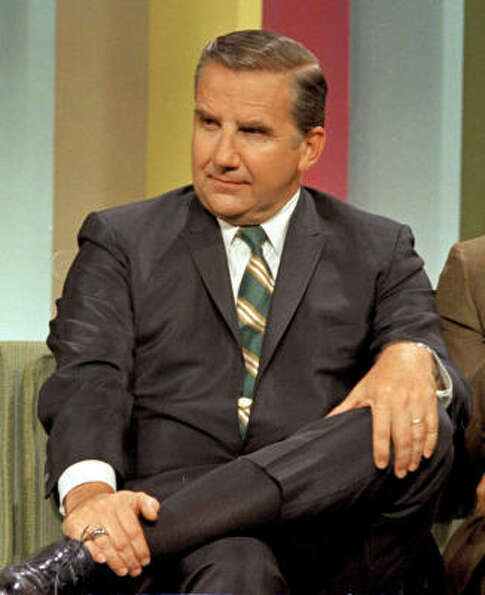 Ed McMahon not only appeared with Carson on the Tonight show, but had also appeared with him on Who Do You Trust quiz show, from 1957-1962. McMahon and Carson were a team from 1957-1992, so they teamed together for 35 consecutive years. We will never forget McMahon announcing the guests for that night’s show and then he would say “Here’s Johnny” in a way only he could say it. Carson knew how to poke fun at politicians, but never was one to push his own political agenda. He was smart to not alienate half his audience. Johnny Carson listening to Bette Midler sing One For My Baby in the closing moments of his last appearance on the Tonight show. One of the most memorable moments, in the history of television was when Bette Midler sang One For My Baby to Johnny Carson as he completed 30 years, as the host of the Tonight Show. Watching the Tonight show became a habit for many television viewers, since celebrities knew an appearance on the show would generate a lot, of publicity for authors who were releasing books and for actors and actresses plugging their latest movie. I missed the first four years of the Tonight show for the most part, since I was in service and it was lights out before the Tonight show came on and most servicemen back then didn’t have a television. 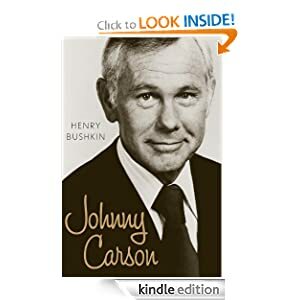 There have been many books written about Johnny Carson and the book Johnny Carson by Henry Bushkin may not have been written, if Carson was still alive since he was infuriated with Bushkin’s financial dealings, which eventually ended their friendship. Bushkin is the last person that Carson would want to be writing a book about his life. If you want the inside scoop on the life of Johnny Carson this is the book to read. 423 readers of the book at Amazon.com give the book 5 stars, while only 34 give it one star. There are many other books, that have been written about Carson, but don’t know if there is an authorized biography out there. The most remarkable aspect of Carson’s time, on late night television is that his show was No.1 for all 30 years. We may never see another show prime time or late night, that can hold on to the top spot for so many years. 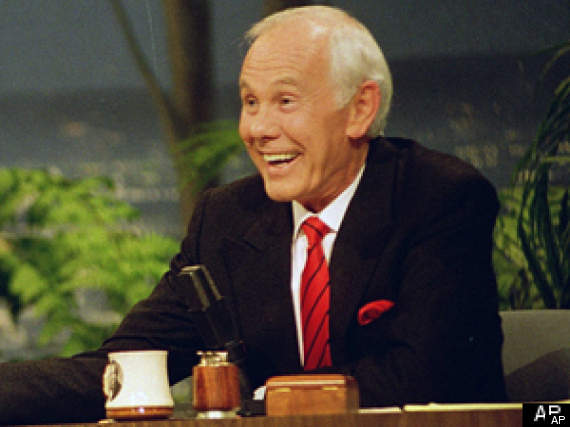 The Tonight show with Johnny Carson was more than a television show. Johnny Carson had become like a family member, who made a nightly visit, into our homes for an hour and a half and later one hour.